Description: Renovated 2007 5bdrm 2.5 bth split. 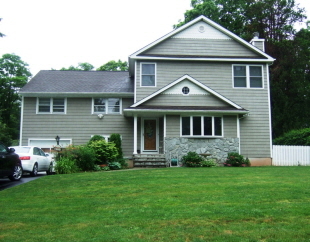 Spacious lr/catherdral ceilings/fireplace, formal dr opens to deck, new baths, lrg. Bdrms, 2 zone cac/heating, new timberline roof/siding, deep yard/paver patio.